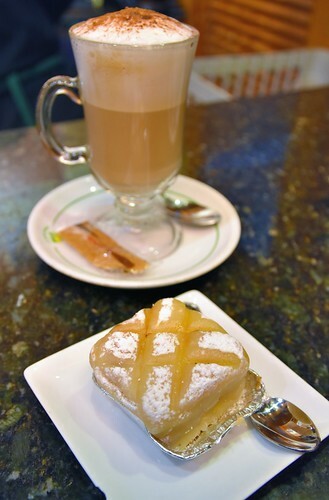 Ponche, a custard and marzipan cake, is a famous Segovian dessert created at El Alcazar Cafe (next door) in 1926. It soon became a favorite and won best dessert at the Universal Expo in Barcelona in 1929. Pasteleria Limon y Menta is one of the best places to experience this local treat. Pasteleria Limon y Menta. Segovia, Spain.